an American chestnut x Chinese chestnut blight resistance breeding study. See forestry research. In 1984 Merry Lea cooperated with the Indiana Dept. of Natural Resources Div. of Forestry to plant one-acre of eastern white oak seedlings that represented seed sources from Indiana, and seven other Mid-western states. Since there was limited follow-up over the years by the IDNR, and the study has served its purpose, the stand will be managed for high quality wood products and wildlife hard mast production. In the future the stand will be thinned to remove poorly formed, suppressed trees and release the remaining trees from competitive stress. 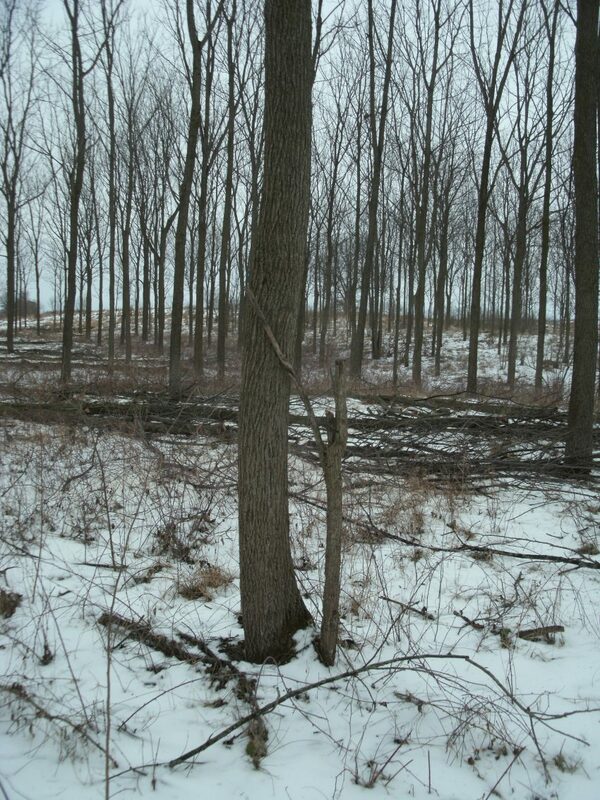 Selected trees will be stem pruned to improve future stem quality for future wood products. The Goodrich and Wysong black walnut plantations are 4.3 acres and .7 acres respectively. They were established in 1983/1984 for the purposes of managing for long-term nut & high-quality wood product production. Due to deer damage on trees during the first 10 years at the Goodrich tract, a coppice study was done to determine if tree form and growth could be improved in the midst of heavy deer pressure. Deer-damaged trees were cut back to the ground-line and allowed to re-sprout (“coppicing”). Then all but one well-formed dominant sprout was cut back and protected from constant deer feeding and antler rubbing. This practice was successful in developing vigorous, well-formed stems that have the potential to produce high quality wood products (lumber and veneer). In January 2015, the Goodrich black walnut plantation was selectively thinned to provide adequate growing room for the highest quality trees. 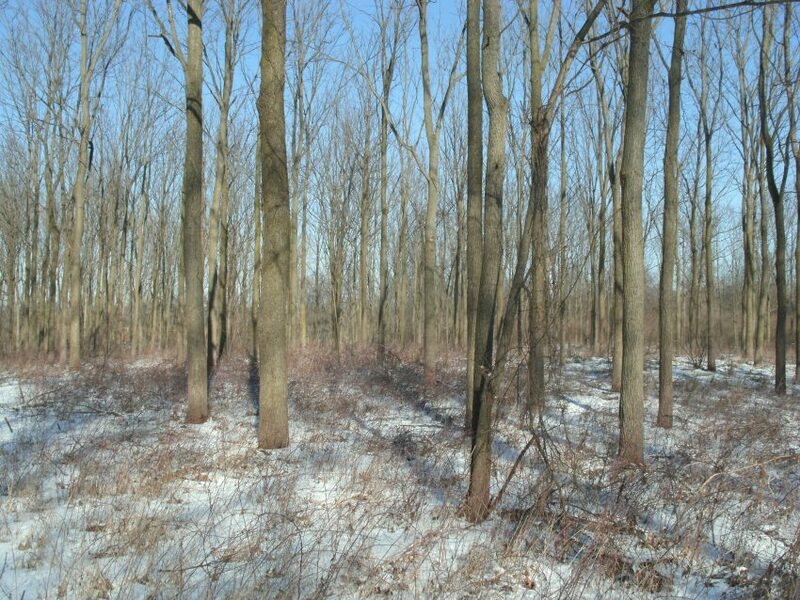 The above photo shows the trees before thinning; the lower photo shows the trees after thinning. 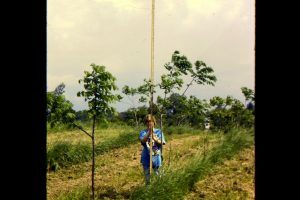 A student assistant measures the height of four-year-old black walnut trees at the Goodrich Tract.